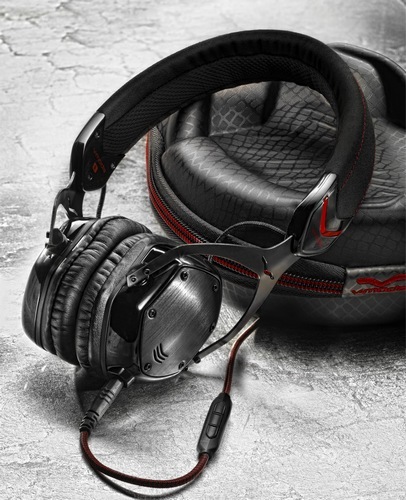 The V-Moda Crossfade M-80 headphones features a 53% smaller design which offers military-level ruggednes and has a virtually indestructible steel frame, STEELFLEX headband, and interchangeable brushed metal shields, durable microfiber suede and replaceable memory foam cushions. They are equipped with 40mm Dual-Diaphragm Drivers that deliver high quality noise-free sound. The M-80 also offers natural isolation via its BLISS memory foam ear cushions and comes with two Kevlar-reinforced cables with in-line microphone, allowing you to use the them with your smartphone. It comes with exoskeleton carry case and comes with a price tag of $229.99. 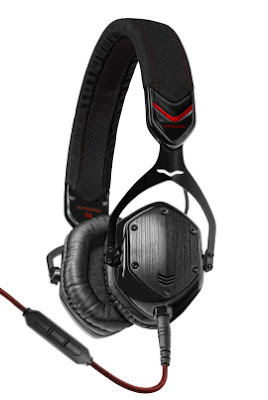 Tag: V-Moda Crossfade M-80 headphone, V-Moda Crossfade M-80 images, V-Moda Crossfade M-80 pics, V-Moda Crossfade M-80 price, V-Moda Crossfade M-80 features, V-Moda Crossfade M-80 specifications, V-Moda Crossfade M-80 details.